Looking for an active summer vacation in the Mediterranean Sea? The prestigious Yacht Club Santo Stefano (YCSS) in Maremma Tuscany is home to the Federal Sailing School (Scuola Vela Federale dello Yacht Club Santo Stefano). Every year from June to September, the School organizes special sailing courses for children, teenagers and adults. There are both courses for beginners in the morning, and specialization courses in the afternoon. Scuola Vela Federale dello Yacht Club Santo Stefano has been a subsidiary of the Italian Sailing Federation since 1961. It is one of the most famous and appreciated sailing schools in Italy for its high standards of instruction, safety and equipment. And, with 450 registered young students between 6 and 18 years of age, it is the fourth largest school in Italy. In 2018, the sailing courses take place from the 4th of June until the 14th of September. Sailing courses are held in the morning (for beginners and young children) or in the afternoon (for the most experienced students and for adults). The course has a duration of 15 hours per week, with 3 daily hours from Monday to Friday from 9,30 to 12,30 or from 14,30 to 17,30. Students will be registered by FIV (Italian Sailing Federation) and they will have educational written materials, T-shirts and special award certificates of participation with the technical level obtained during the sailing course. Sailboats used during the sailing lessons include Laser 1, 420, Laser Vago and Laser Bahia. 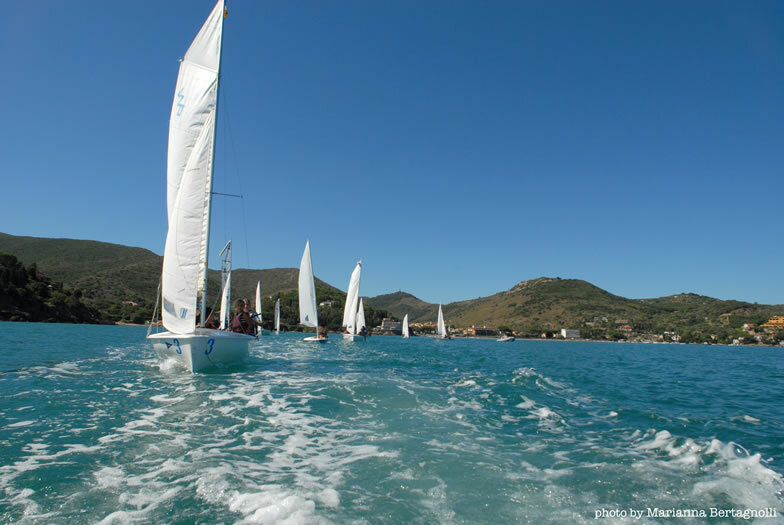 If you are a guest at Argentario Golf Resort & Spa, you enjoy a 20% discount off the summer sailing courses at the Sailing School of Porto Santo Stefano. This entry was posted in eco tourism, sport and tagged porto santo stefano, sailing, sports, summer . Bookmark the permalink.